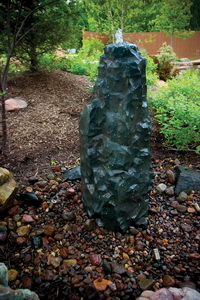 This rock makes a terrific solo fountain with its unique facets also available in Complete Kit! Aquascape’s Fractured Basalt Column creates the soothing sound of trickling water making it the focal point of any setting. 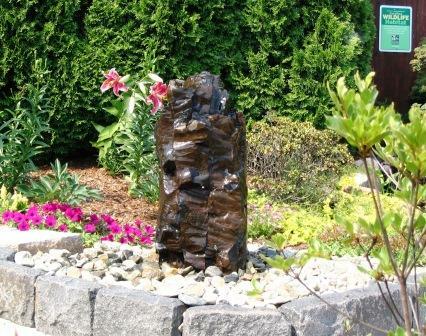 Aquascape’s Fractured Basalt Column has all the natural beauty of real rock with the added durability and light weight of fiberglass. 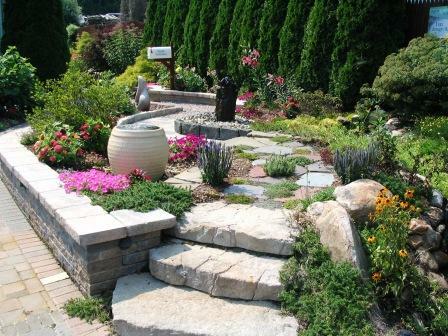 Create a natural paradise in your back yard with Aquascape’s Fractured Basalt Column. 39" High x Diameter 19"
Incorporate the sight and sound of water to your garden, deck, patio or balcony. The unique fractured appearance that lends itself for natural stone water fountains. Approx. Unit Weight: 28.5 lbs. Liner Tarp 54" Round with 15"
Please Note: The Fountain Kits do not include decorative gravel or pebbles. If the Fountain Kit will be used in colder climates the water pump will need to be stored inside for the winter. The bucket can be left outside but should be drained and covered. 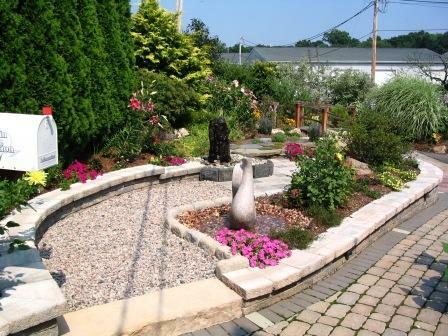 For an instructional Fountain Installation videos and more information on theAQUABASIN & Installation Tips, click on the linsk at the end of this statement. "VIEW VIDEO#1", "VIEW VIDEO#2"
TJB-INC FOUNTAIN DISPLAY at our Hamden, Ct. location featuring: Ceramic Waffle Texture Bubbler (Cream Colored), Solo RimRock, & Stone Carved Flamed Bubbler Fountain. All 3 set on an AquaBasin.